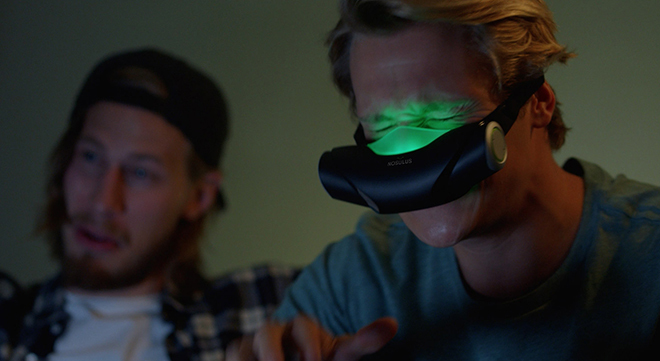 Ubisoft has worked with Buzzman and Productman to launch Nosulus Rift, a smell-based virtual reality mask designed to promote South Park: The Fractured But Whole game. The game’s hero has a very particular and smelly superpower, his fart smell, that allows him to travel in time and fight his enemies. The player uses the mask to experience subtle smells allowing him or her then to truly incarnate the hero and live an original experience. The Nosulus Rift campaign, online at nosulusrift.com, includes a web movie and set of 3 interviews with the producer of the game, the nose and the designer. The Nosulus Rift is being road tested at Gamescom in Cologne, Germany, and will be taken to other gaming events in the lead up to the game’s official release on December 6, 2016. “More than just showing a new way to live the experience, The Nosulus Rift opens the way to a large field of new opportunities in terms of virtual reality and entertainment in sectors like TV, cinema and even retail”, said François Phan, Head of Operations at ProductMan. The Nosulus Rift virtual reality campaign was developed at Buzzman, Paris, by president and creative director Georges Mohammed-Chérif, vice president Thomas Granger, associate director Julien Levilain, creative director/art director Louis Audard, creative director/copywriter Tristan Daltroff, assistant art director Jennyfer Arduin, account manager Thomas Crouzet, senior strategic planner Clément Scherrer, head of digital and innovation François Phan, digital producer Samir Semaoune, assistant digital producer Soufiane Lahlou, head of TV production Vanessa Barbel, TV producer Benoît Crouet, head of social media Julien Scaglione, social media director Loris Bernardini, head of communication and PR Amélie Juillet, communication and PR manager Clara Bascoul-Gauthier, working with Ubisoft EMEA senior VP & marketing director Geoffrey Sardin, marketing VP Guillaume Carmona, associate marketing director François-Xavier Deniele, brand manager Louis Trupin, digital marketing manager Valentin Pasquier Desvignes, and PR manager Thomas Beaufils. The product team at ProductMan were president/creative director Georges Mohammed-Chérif, VP Thomas Granger, head of operations François Phan, development director Thomas Ceccaldi, creators Louis Audard and Tristan Daltroff, hardware engineer Valentin Squirelo, software developer Constantin Clauzel, hardware developer Charles Passet, industrial designers Benjamin Sabourin and Nicolas Marquis, industrial designers (OVA design) Benjamin Sabourin and Nicolas Marquis, nose and chemist team (Cinquième Sens) Isabelle Ferrand and Sarah Burri. Filming was shot by director Benoît Pétré via Les Improductibles, executive producer Yann Girard, production director Aurélie Chevalier. Digital studio was Neuvième Page.